PennsylvAsia: "Chinese Karaoke Night," November 10 at Pitt. 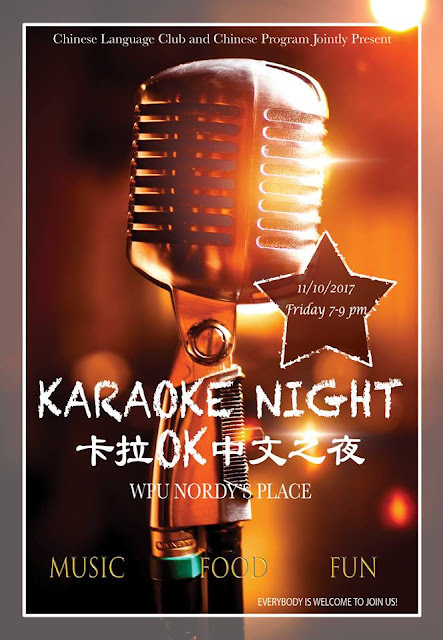 The Chinese language program and the Chinese Language Club at the University of Pittsburgh will present a Chinese Karaoke Night on November 10. It will run from 7:00 to 9:00 pm in Nordy's Place, located on the ground floor of the William Pitt Union (map).